Of the thousands of record labels that have existed over the past century, few have a history as rich as that of Atlantic Records. The company, founded in October 1947 by Ahmet Ertegün and Herb Abramson (with Jerry Wexler and Nesuhi Ertegün becoming vital to the company’s growth several years later), was home to many of the most important artists of rhythm and blues and rock music during the post-war years and into the ’80s. To be signed to Atlantic during its heyday was a win in itself; the label was known for understanding and nurturing its artists, bringing out the best in them and promoting their releases vigorously. The list of hit records released by Atlantic is ridiculously lengthy, and many of them still pack a punch today. The love was mutual. Just as the top brass at Atlantic held a deep respect for the music, so too did the artists revere the label, particularly Ahmet Ertegün, the very definition of the phrase “record man.” As the company’s 40th anniversary rolled around, and the concept for an anniversary concert was floated, for many Atlantic artists there was never even the consideration of turning down the offer to participate: for Ahmet, they would do anything. 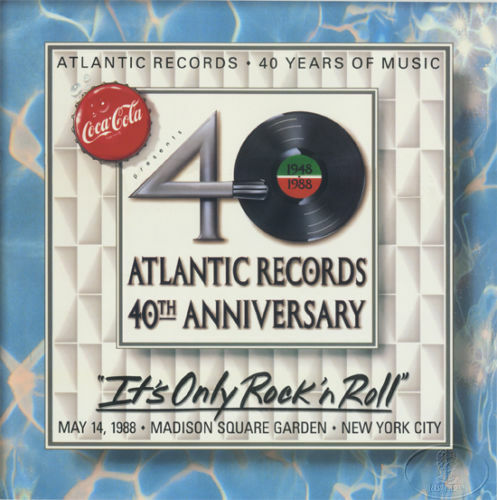 On May 14, 1988, a little over 40 years after the founding, Atlantic was feted at a 13-hour concert at Madison Square Garden dubbed “It’s Only Rock ‘n Roll,” after a hit song by one of the label’s signings, the Rolling Stones. The Stones didn’t perform at the show but, to be brash, few probably missed them—not when you had a string of giants including the surviving members of Led Zeppelin, Genesis, Yes, Keith Emerson and Carl Palmer (of Emerson, Lake and Palmer), the Bee Gees, Paul Rodgers (of Bad Company), Bob Geldof, the Vanilla Fudge, Foreigner, Crosby, Stills and Nash, ’60s favorites the Rascals and Vanilla Fudge, and several of the R&B stars that helped establish not only the company but the genre itself: LaVern Baker, Wilson Pickett, the Coasters, the Spinners, Ben E. King, Booker T. Jones and Steve Cropper (of Booker T. and the MG’s), Carla and Rufus Thomas, Sam Moore (of Sam and Dave, teaming with the Blues Brothers’ Dan Aykroyd) and Roberta Flack. 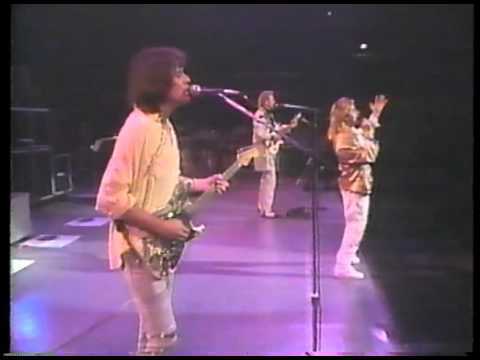 The concert, which of course quickly sold out, was broadcast live in the United States on FM radio stations and HBO, with an edited version later airing on ABC TV. 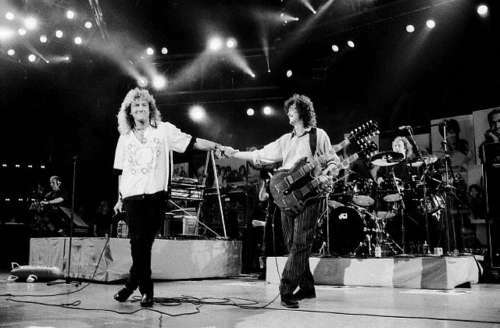 With that, one of the most star-studded single-day rock and soul concerts concluded. In retrospect, there was no other way it could have ended. In 2004, Atlantic Records merged with Elektra Records into a larger group, the end of an era. All of the founding members are now long gone, and though Atlantic Records has maintained its long-standing success, its artist roster in recent years will never have the same impact that it did during those first four decades.